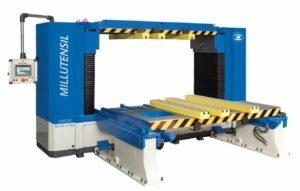 Millutensil is one of the world-leading manufacturer in spotting and maintenance, providing safe, ergonomic, accurate, productive and easy-to-use technologies to help streamline the checking and testing of moulds and dies. And as these technologies continue to increase. The die-splitter was developed following customers’ needs to easily handle big moulds, in the sheet metal sector, too. The die-splitter is an innovative, versatile and efficient solution, in line with the increasing automation of the manufacturing process and with the everyday higher safety standards. It is used for splitting, adjusting, maintenance and try-out operations on dies. – Streamlined operation through intuitive controls of the next generation Touch Panel. Product price compression has become an absolute must for every company. Millutensil is addressing this need with innovative, adequate solutions. 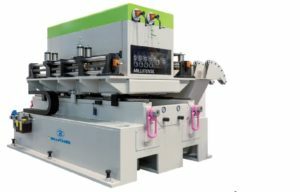 Millutensil manufactures zig-zag automatic lines combined with multi-disc shears for cutting discs. Using a multi-disc shear ensures cutting flexibility in the diameters of the discs to be manufactured. The machine makes it possible to manufacture discs with different diameters without using any moulds. Millutensil manufactures laser cutting zig-zag automatic lines. Feed line with uncoiler and straightener machine, belt advance system, laser and stacker consisting of single or double stacking boards. Optimal management of scrap discharge.